Main street just before Charleston. Hands down, Makers & Finders has the best chai (tea) latte in town. You’ll find a wait staff of super friendly and happy people who will remember both you, and your usual order. You’ll find a spot to chat with a friend or a workspace among the eclectic industrial decor. There are both private and communal tables to choose from. I love being able to power through some work on a caffeine buzz at the communal table, with Spanish music playing in the background. 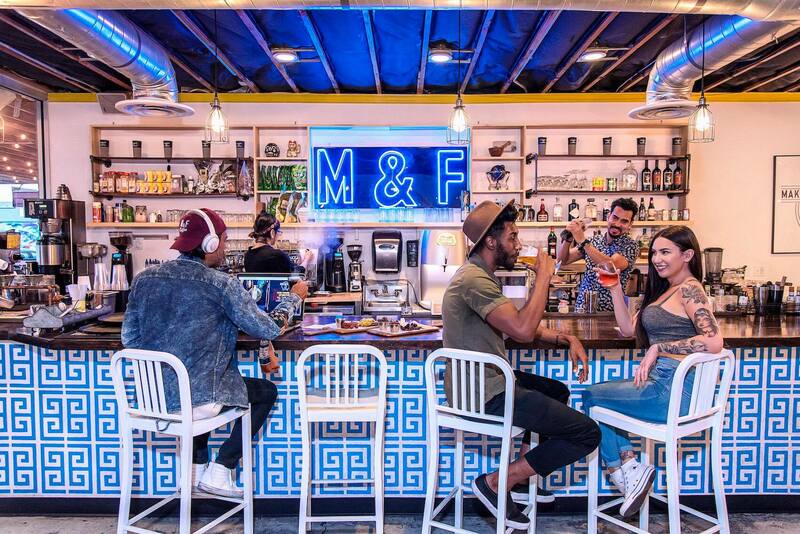 If you’re looking for another kind of buzz–not to worry–it wouldn’t be a true Vegas coffee shop without a full bar. Come here for brunch Sunday to sip boozy mimosas and eat some Latin-inspired comfort food. Don’t be surprised by long wait times to order a refill or grab your check– this is a no rush coffee shop. Makers &Finders is truly embracing all aspects of the Latin culture, so take off your watch and clear your schedule, you’ll be here a while. 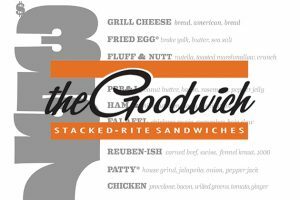 They just opened a second location in Summerlin due to this one performing so well. On Las Vegas Blvd with an entrance on Hoover street. The Millennium Fandom is a haven for every type of person; in true cosplay fashion, anything goes! Whether it’s the themed events ranging from cult night classic to superhero prom, or the more typical Star Trek nights, you’ll find an event to suit just what you’re into. If you’re not overly excited about cosplay, not to worry! 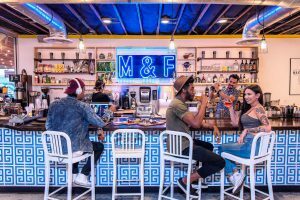 Often you’ll find the residents of Newport, Soho Lofts, and surrounding areas of downtown just come to hang here for the drinks and vibes. Alex Pusineri is the owner and mastermind behind this concept bar, and his warm smile and welcome will make this your new go-to spot. I absolutely love to bring the unsuspecting tourist here and let them wander around to find relics and memorabilia from movies, comics and their childhood. 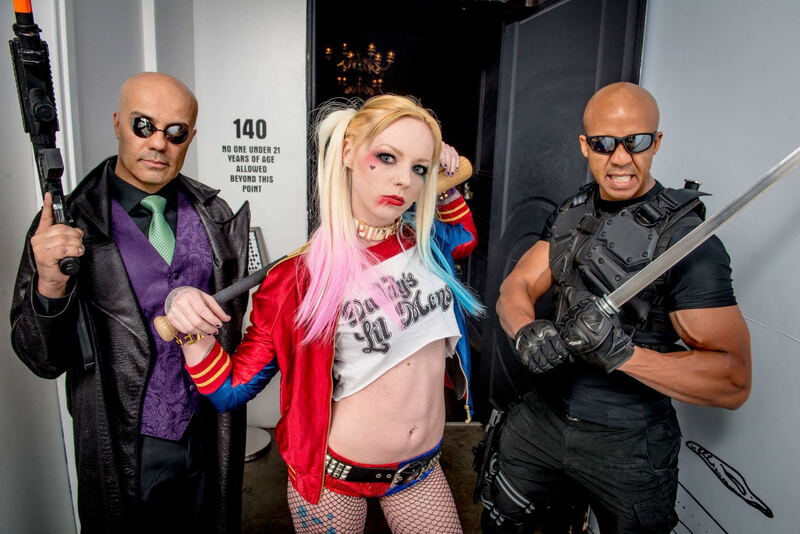 I promise the cosplay, the memorabilia and the owner is enough for you to go ahead and pull up a chair at the bar, but we haven’t even gotten to my favorite bartender. Linda (AKA the “Queen of the Hive”) never fails to impress us with her themed costume coordination every night or her YouTube tutorial-worthy make-up skills. Oh yeah! She also pours a killer drink. On Main Street just before Charleston. This boutique member-oriented studio has some of the best-trained instructors in town. Greeted by a chic chandelier entrance, you can leave your shoes and your worries at the door. This charming studio has become a home away from home of sorts for me. The owner, Angelica Govaert, trains all the instructors herself. From downward dog to the last savasana, you’ll be flowing smooth and strong. I love it here because of the intimate class sizes, the absence of mirrors that help me to stay present, and the hands-on adjustments and guidance from instructors. If the omnipresent instructors aren’t enough to convince you to make this your new yoga spot, the studio’s extensively diverse and ever-changing schedule of class types might. Try a bed head yoga class at the ungodly hour of 6:15 am, or a light lunch session for a quick 45min flow at noon. The studio hosts instructors from all over the world that teach workshops on Acro Yoga, Thai Massage and so much more. You can also pack your bags and join one of their luxury retreats in the mountains of Utah for a weekend. Sin City Yoga has an amazing deal for first timers too: 30 days of unlimited yoga for $40! Where else can you find a deal like that in this city? On Carson Ave just off Las Vegas Blvd. Oh my gosh, I ALMOST wish this place wasn’t so close to my condo and I’m slightly thankful that you really have to be an early riser to score donuts before they’re sold out for the day. Donut Bar makes mornings better with the BEST donuts and coffee I’ve ever had. There are so many yummy options to choose from. The French toast donut or the cake batter donut is motivation enough to get you out of bed on a Sunday morning. You have to try the crème brûlée donut as it has the most satisfying crunch to break the sugar seal holding back the creamy center. It’s an Instagram worthy capture, I promise! The crème brûlée and many other donuts here are vegan-friendly! Vegans rave about the chocolate sprinkle and the strawberry creme split. The owners are two local brothers, Jeff and Joe, and they have taken this San Diego born franchise and made it a truly local experience you don’t want to miss. Sit on the back patio and catch a few rays of sunshine while you expand your waistline. Velveteen Rabbit serves up handcrafted cocktails with an eclectic twist. Located in the heart of the 18b Arts District on Main street the Velveteen Rabbit was ahead of its time. It understood the potential of the coveted Main Street address before the rest of the businesses on the street followed suit. 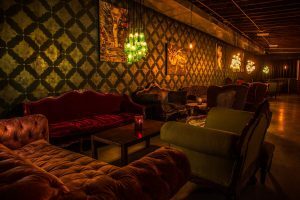 You’ll find a mix of vintage conversation couches and plushy bar stools to relax on while you look over the seasonal menu. I’d love to recommend a cocktail here, but it’s best to let Christina or Pamela, the two sisters who own this joint, mix you up something delicious based on your mood that night. Prepare yourself for drinks unlike anything you’ve had featuring such palate teasing ingredients like dram black bitters or Serrano tinctures. You can also get schooled by the sisters yourself with a cocktail making course for only $60 and you get to make and gulp down three drinks! On Third and Hoover street. New Amsterdam is a small marijuana dispensary catering to the downtown community. Don’t let the lack of signage or the armed security guards scare you, everyone here is super laid back and friendly. You can legally make a recreational purchase here by showing a valid ID and being 21 or over. They have a variety of flowers to choose from, concentrates, edibles and oils for vaping. The staff is great at making recommendations based on the desired effect and the best part is that they offer a discount to Nevada locals. Come here the first Friday of the month and get up to 30% of select purchases. They are open 10 am to midnight every day and have ample free street parking. On Fremont street just after Las Vegas Blvd. Le Thai always has a wait but it’s definitely worth it. No, they don’t do reservations but I promise you it won’t matter after you just tasted some of the best Thai food in Las Vegas. Expect to wait an hour to be seated at dinner time but come here for lunch and you might be able to snag a seat at the bar without much downtime. You must try the Short Rib fried rice! It’s a mini mouth-gasm. There is a full bar with a laundry list of hot and cold sake plus lots of traditional Thai and South Asian beers to pick from. 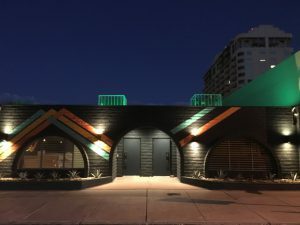 Sit on the back patio, it’s a covered area with both heating and cooling depending on the weather, lots of art to look at and the best laid-back vibes ever. The wait staff here has a low turnover and you’ll be sure to see the same face taking your order twice. Vegans rejoice, they got a lot of options for you to pick from and can modify the existing menu to meet your dietary needs. On Fremont just before 7th Street. Bronze Cafe is the perfect place if you’re looking to make a quick grocery run or stop in for lunch. They have a small grocery store with essentials for cooking at home plus a pretty large frozen section with specialty foods. The café section has a healthy menu with a focus on vegan and vegetarian options. You have to try the California Tofurkey, a delicious vegan sandwich that I crave at least once a week. They make all their dressings and sauces in-house so you know exactly what is in them. You can’t go wrong with any of their fresh fruit smoothies which are both satisfying and healthy. 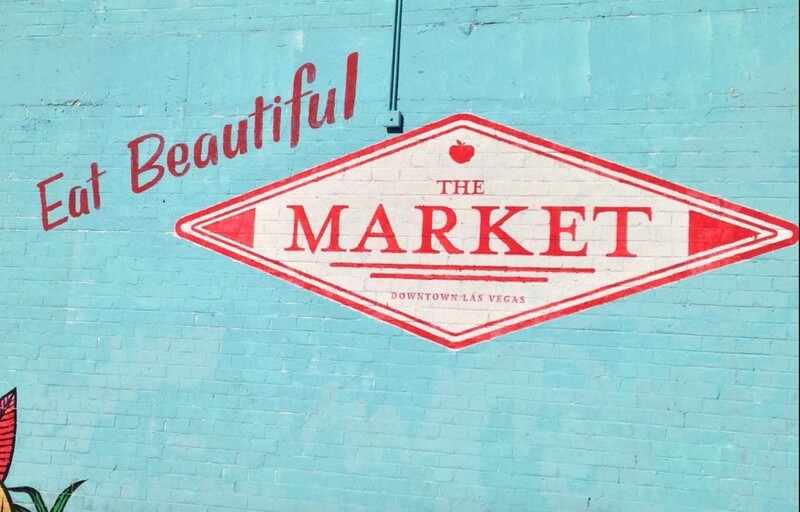 A designated street parking spot right out front lets you pop in to pick up some groceries or your to-go order. On Third and Gass Street. Eclipse is unlike anything you’ve experienced. Forget what you think you know about luxury theaters because Eclipse will blow them out of the water. The lobby is stunning, the bar is fully stocked with oversized seating areas and their attached outdoor patio with stunning views of downtown that will make you forget you’re even there to see a movie. All the theaters have giant fully reclining leather chairs in groups of two or four. Each chair has a call button for a waitress to serve up food or drinks. Yes, you can find popcorn and soda here but their vast array of snack foods and full meals one-ups the typical movie-going experience. Pop a bottle of champagne on date night and get a gourmet pizza to share. A server will make sure you’re topped off even during the movie. 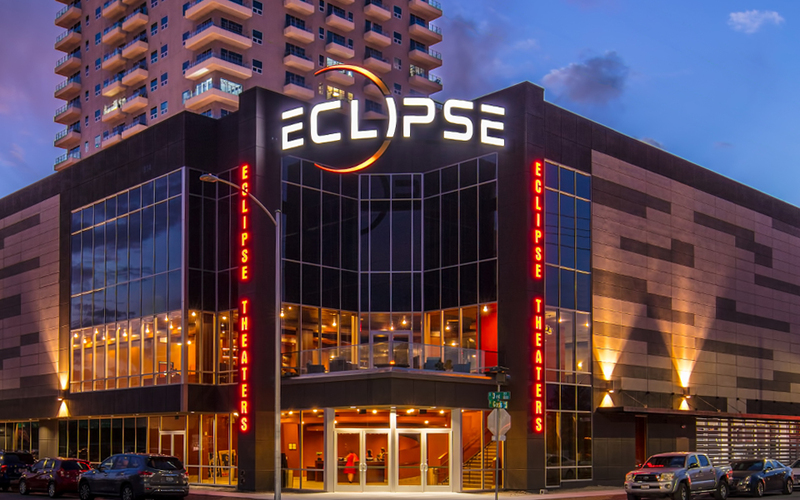 Eclipse is the ultimate date night and it still has free parking! 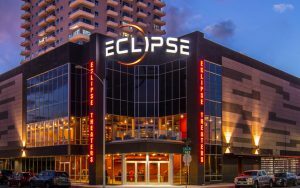 Leave the kiddos at home; Eclipse is a 21 and over experience after 9 pm. On Las Vegas Blvd, entrance is on Hoover Ave. 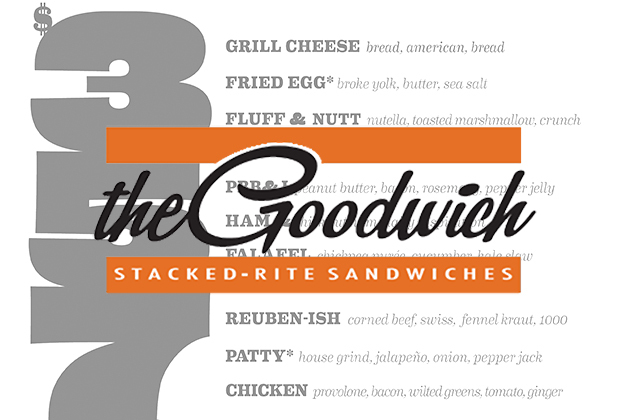 The Goodwich started as a pop-up shop of sorts on the corner of Las Vegas Blvd and Wyoming ave in front of Dino’s. Once you eat here you’ll understand why it quickly outgrew its former location and expanded to the commercial space inside the Soho Lofts building. Now, in its permanent home, it keeps downtown’s lunch and dinner crowd fed and happy. They use top quality ingredients and put an interesting twist on all your go-to favorites. With the exception of a few staples like the Ruben-ish, you’ll almost always get something new here as their menu is ever changing. They feature a “Pig of the Week” which is a pork-based sandwich that, as you guessed, changes every week. I almost opt for anything these guys do with a chicken sandwich, fried, grilled, shredded or pulled; it’s always a treat. Vegetarians can also find menu options here and almost anything can be modified. The staff is amazing at making recommendations and the soup is always something to come back for. You must try the dessert sandwich here it’s a warm Nutella marshmallow slice of heaven served piping hot on buttered bread. 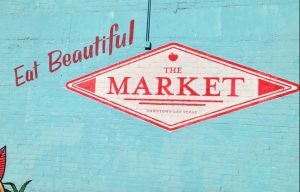 If this blog inspired you to check out any of these spots, send me an email and let me hear about your experience.